As per this study the Global EV Traction Motor Market was valued USD 3.36 BN (by revenue) in 2018 and is anticipated to reach USD 35.42 MN by 2025 with a CAGR of 40%. Traction motors refer to electric motor that is used to generate propulsion torque in any electric machine over a wide speed range. Basically, it converts electric energy into mechanical energy. These are extensively used in electric vehicles along with elevators, conveyors, roller coaster and other electric powered machines. 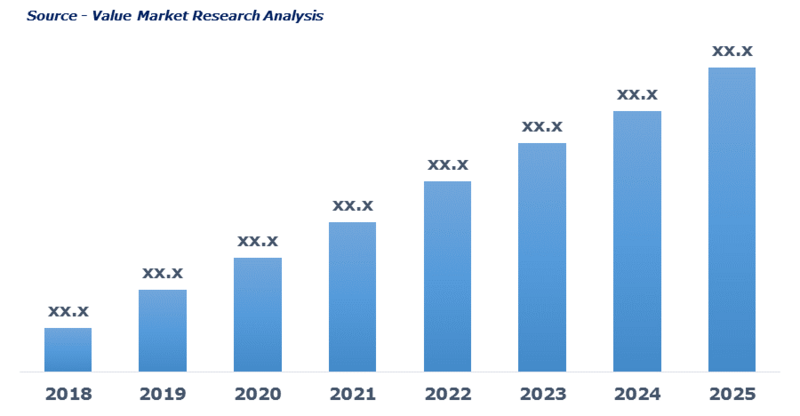 Rising demand of electric vehicle, increasing spending on the betterment of railways and strict governmental regulation on carbon emission are the prominent factors promoting the market growth. Volatile fuel price is another factor contributing demand of electric vehicles. This is in turn, pushing the market growth. Growing demand of conveyors, elevators and other industrial machines at the manufacturing site for easy operation is further fueling the market demand. However, overheating of the motors may hinder the market growth. This detailed market study is centered on the data obtained from multiple sources and is analyzed using numerous tools including porter’s five forces analysis, market attractiveness analysis and value chain analysis. These tools are employed to gain insights of the potential value of the market facilitating the business strategists with the latest growth opportunities. Additionally, these tools also provide a detailed analysis of each application/product segment in the global market of EV traction motor. The broad EV traction motor market has been sub-grouped into motor type, voltage rating and vehicle type. The report studies these subsets with respect to the geographical segmentation. The strategists can gain a detailed insight and devise appropriate strategies to target specific market. This detail will lead to a focused approach leading to identification of better opportunities. Furthermore, the report comprises of the geographical segmentation, which mainly focuses on current and forecast demand for EV traction motor in North America, Europe, Asia Pacific, Latin America, and Middle East & Africa. The report further focuses on demand for individual application segments in all the regions. The report also covers detailed competitive landscape including company profiles of key players operating in the global market. The key players in the EV traction motor market include ABB Limited, Bharat Heavy Electricals Ltd., Magnetic Systems Technology, Parker-Hannifin Corp., SKF AB, Valeo SA, YASA Motors Ltd., ZF TRW Automotive Holdings Corporation and Zytek Group Limited. An in-depth view of the competitive outlook includes future capacities, key mergers & acquisitions, financial overview, partnerships, collaborations, new product launches, new product developments and other developments with information in terms of H.Q. A combination of primary and secondary research has been used to determine market estimates and forecasts. Sources used for secondary research include (but not limited to) Paid Data Sources, Company Websites, Technical Journals, Annual Reports, SEC Filings and various other industry publications. Specific details on methodology used for this report can be provided on demand.